Cooking, Healthy Eating, Fitness, and Fun—or CHEFF as it is commonly referred to in the classroom—is a weekly partnership facilitated by the Community Pediatrics Program at Montefiore Medical Center, in collaboration with the Children’s Health Fund, a non-profit that brings comprehensive healthcare to children and families in need. 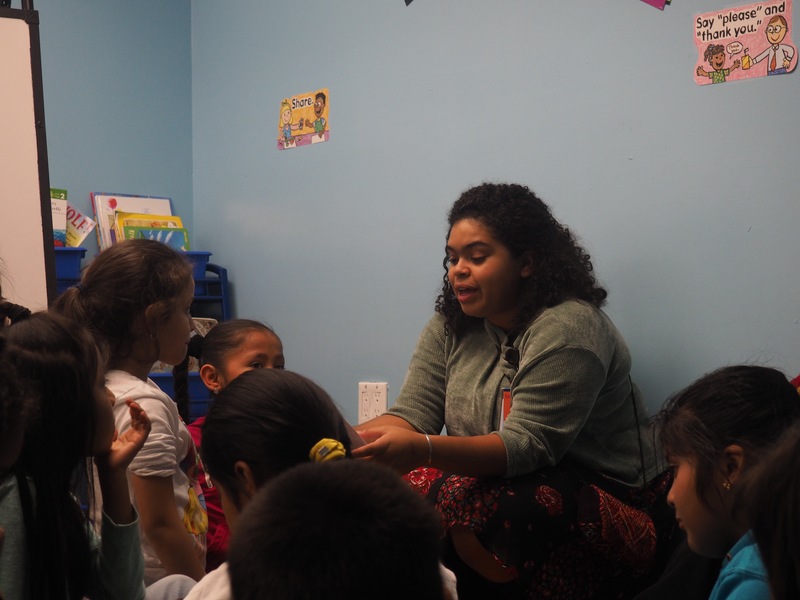 Once a week, nutritionists visit Prospect Afterschool, sitting down with elementary school students aged five to nine in Baby and Little Brownstone to discuss the importance of healthy lifestyle choices. During a recent lesson, the topic of the day was screen time. Building upon the group’s conversations from weeks prior, the kids discussed the risks of too much sedentary time staring at screens—whether it be a television, cell phone, or tablet. 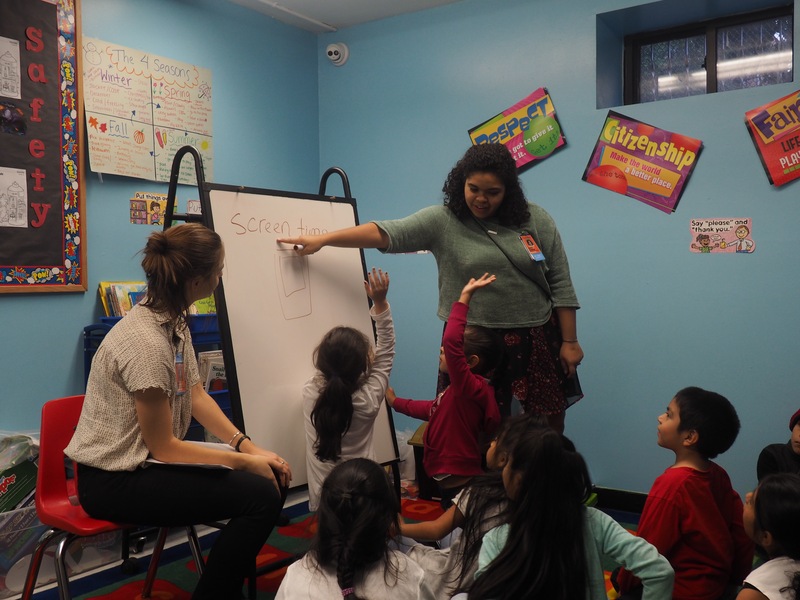 Dietetic interns Caty Schnack and Zariel Grullon explained the dangers of excessive screen time with the class, specifically the increased risk of becoming overweight. The group then thought about activities that could replace time spent in front of a screen. The kids were eager to offer their ideas, suggesting exercises like dancing, jumping jacks, and playing outside. Others recommended spending quality time with siblings and family members, reading together or playing board games. Some even offered a helping hand, saying that they could do their household chores and prepare meals with their parents. After discussing the dangers of and alternatives to screen time, the students participated in an interactive review of what they learned. Schnack and Grullon posed questions to the class, and students raised their hand if they thought it was true. The question “are children who have more screen time more likely to be overweight?” was met with many raised hands. Students demonstrated their comprehension of the lesson by explaining, in their own words, the reasons why it is better to choose activities that are good for your brain and body. Founded in 2005, “[CHEFF] addresses pediatric obesity through nutrition education and promotion of cooking skills, self-care, and fitness,” Sandra Arevalo, Director of Nutrition & Outreach at Montefiore’s Community Programs and spokesperson for the Academy of Nutrition & Dietetics said. By visiting classrooms in an engaging manner with age-appropriate conversations, children can take away important information about how to make healthy choices in their everyday lives. Also, the frequency with which CHEFF visits helps the children retain and recall information from previous weeks. For example, after discussing screen time, Schnack and Grullon asked students examples of heart exercises versus muscle-building exercises—a topic they had previously talked about. Students explained that swimming and soccer are heart exercises whereas sit-ups and swinging on the monkey bars are muscle-building exercises. Afterwards, they shared that day’s snack with students: eggs with both green and white asparagus, as well as other vegetables. 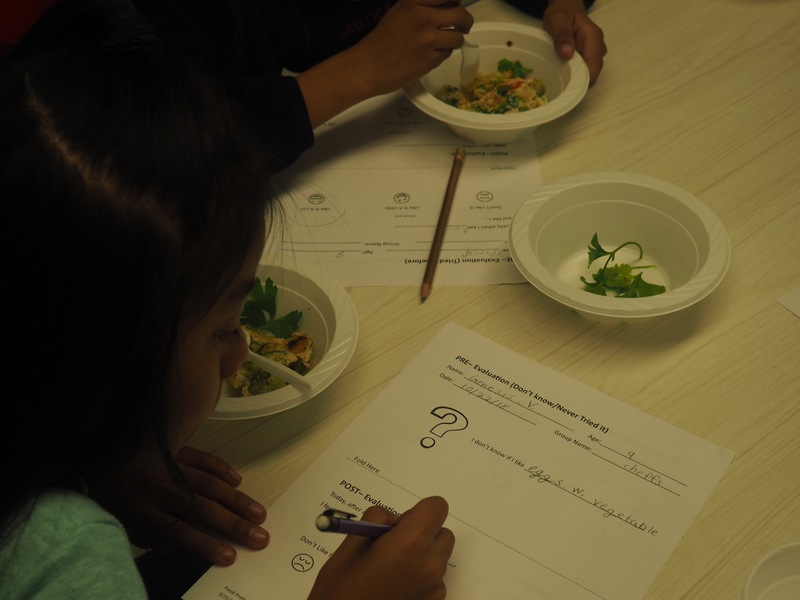 During this time, students filled out a survey before and after tasting the food. The children checked boxes according to whether or not they had eaten the food before and rated how they liked it after trying it. “Young children are building habits for life, so it’s important to expose them to a variety of fruits and vegetables now,” Schnack said. By introducing students to a variety of foods at CHEFF, children are encouraged to expand their palates outside of the program. “If a kid tries foods they sampled during CHEFF later on outside of class, then we’ve really made a difference,” Schnack said. With this partnership, Prospect Afterschool is able to increase awareness about nutrition and exercise with its students. By making healthy lifestyle choices in the classroom, kids are able to share what they learned with their families and friends.